Home » trvlvip Advice » Lost in a Faraway Land? Miss the Little Blue Dot? Try Google Maps “Offline”! Lost in a Faraway Land? Miss the Little Blue Dot? Try Google Maps “Offline”! From the midst of our recent six–country, three–week journey around the Indian Ocean region, trvlvip recently had a chance to really put Google’s offline maps to the test. If you’re already a user of Google Maps for things like finding the nearest great restaurant, getting home quickly, determining how long it will take to get from point A to point B or even tracking your taxi driver’s choice of routes, you already know that Google Maps is one of the most powerful tools to have on your mobile. But, using Google Maps is dependent on having data enabled (either via your data plan or via Wi-Fi) on your mobile, right? Actually, no – or at least not entirely and not anymore. Google first began talking about these enhancements in May of 2015. And in November they began to roll them out for both the Android (first, of course) and then Apple’s iOS operating systems. And here’s Google’s great blog post on the feature functionality and how to enable it on your device – be sure to read it (after all, we’re not a tech support website…we’re a travel website)! Our first testing site was in Kuala Lumpur, Malaysia. Upon landing at the airport I jumped on free Wi-Fi from my mobile (Android OS), opened Google Maps per usual, searched for Kuala Lumpur and downloaded the offline area map. I think it took about 20 minutes to do the trick since the airport Wi-Fi was slow, but by the time I grabbed my bags, cleared customs and immigration and hopped into the taxi I was all good to go. The bigger the scale of the map you choose, the longer it will take to download. And what better place than the back of a taxi in a foreign land to give it a whirl? As the driver pulled away from the airport I opened up Google Maps. I had my data disabled and the Wi-Fi signal evaporated as we pulled away from the terminal. I was entirely “offline”. But, low and behold, there was my familiar Google Maps – my friend the “little blue dot.” And he (or she?) stayed right with me as we drove. So, I put in the hotel name (Grand Hyatt Kuala Lumpur) and within a few moments I was able to see the entire route to the hotel, know my ETA and track my progress with turn-by-turn directions spoken to me. Wow – basically no different than if I had a full data or Wi-Fi connection! But, again, I was entirely offline. We arrived at the hotel along the Google Maps prescribed route – amazing and reassuring! The next day I took Google Maps out for a test run on foot, and here’s where things changed a bit. Google Maps offline does not yet fully support turn-by-turn directions for walking. I basically had to follow the “car route” to get from A to B. 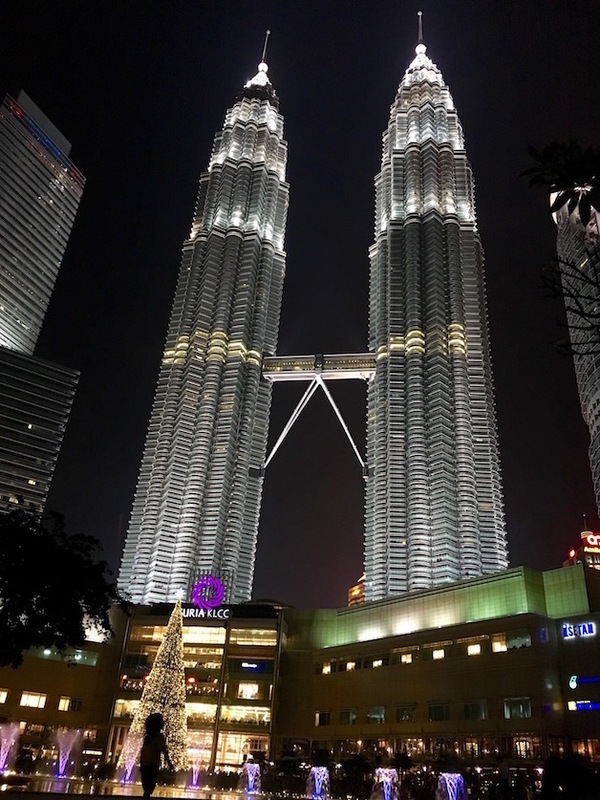 And, in Kuala Lumpur, with its three-dimensional labyrinth of streets, highways, underpasses, sidewalks (or not), elevated train lines, rivers and parks it was no easy task. But, it still tracked along with my progress just fine. And the “transit” function – how to get from A to B via public transit – seemed to work great. Points of interest works well too – just like normal. You can pop in any hotel or restaurant (or just search on “restaurant” and the nearby choices will appear as normal). You can even click into them and find basic details per usual like open hours, address, phone number, etc. The offline details are limited, but they’re pretty good. When using your offline map the satellite functions still works without a data connection, so with no cell coverage and no Wi-Fi you’re darn close to a fully online experience. 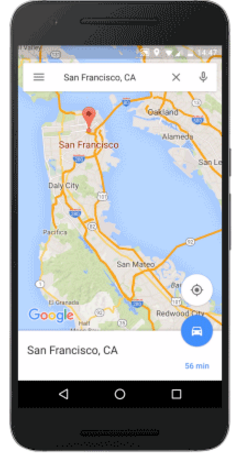 Basically Google has downloaded the basic necessities of that “map” to your phone. The size of the map area you choose determines the size of the downloaded map file and the bigger the map size the longer the download time. And after you are done with the map you have the option to delete it or the downloaded map will automatically delete or “expire” from your phone in about a month. The next test was our trip to the Balinese city of Ubud. Again, it performed great. I didn’t need to download any new offline areas as it was included in the “Bali” map I downloaded upon arrival at the Bali airport. I was able to track our progress (we hired a car and driver) to Ubud from our hotel in the Seminyak area of Bali, know when we’d arrive, navigate around on foot well enough, find good restaurants, etc. Fantastic! 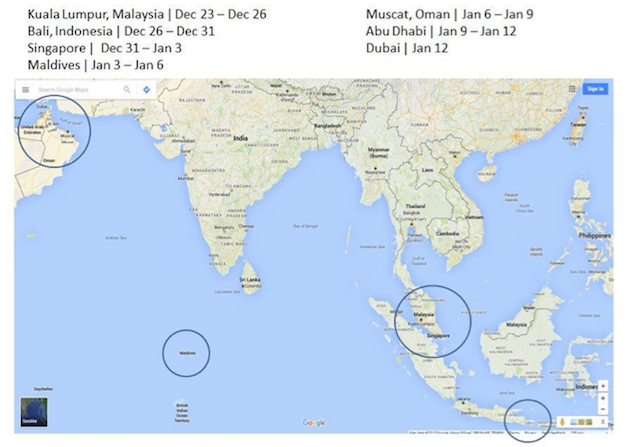 It was a surprise to discover that Google Maps offline does not yet exist in the Maldives, Oman or the United Arab Emirates. The Maldives of course would be complicated. 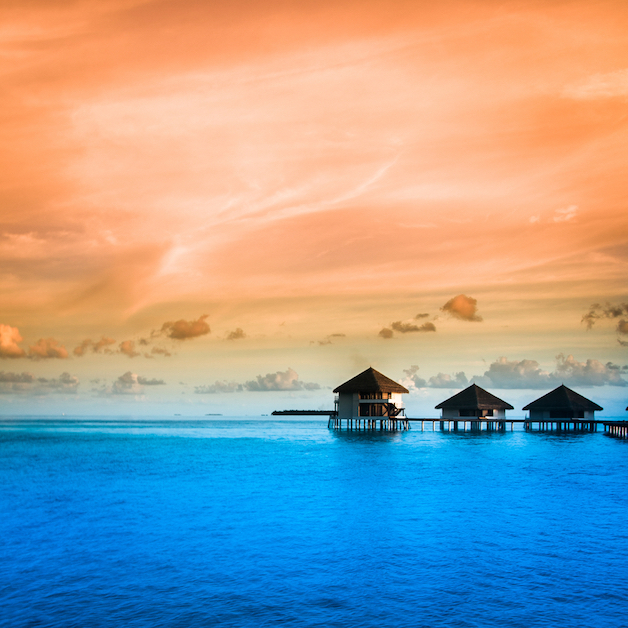 Beyond the capital of Malé there may not be many public roads, most of the islands scattered across the atolls are resorts or uninhabited. I was more optimistic about Oman, particularly the interesting capital Muscat. But, again, while I could pull up the Google Map when online, I could not download the offline version. Most surprisingly was the lack of Google Maps offline in either Dubai or Abu Dhabi in the UAE. These vibrant, cosmopolitan metropolises – heavily touristed – seem to be the perfect place. But, alas, it was not to be – not yet at least. So, overall, I’d say that Google offline Maps is my favorite new travel tool. I was kind of a map geek to begin with and I use Google Maps quite often even when I’m at home. Mind you, nothing wrong with getting lost – very lost – when traveling. We at trvlvip definitely encourage that. But, it’s nice to know your little blue dot is right in your pocket if you need him… or, her! Go ahead and sign-up for complimentary email alerts so you never again miss an important TRVLVIP Perk, Tip and Blog post! Thanks for this post. I have yet to use the offline maps when travelling and wondered how functional they would really be. I’m sure this feature will just get better and better. Wow, this is the first I have heard about this, incredible! I will definitely take advantage of this the next time I travel. What a cool program!